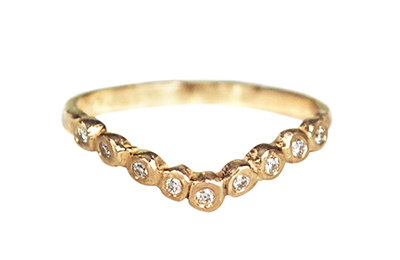 This curved V-Ring design is cast in 14k yellow gold, and features nine diamonds. It will look lovely paired with one of our Halo or solitaire ring designs. Available with a variety of gemstones; in yellow, white or rose gold.